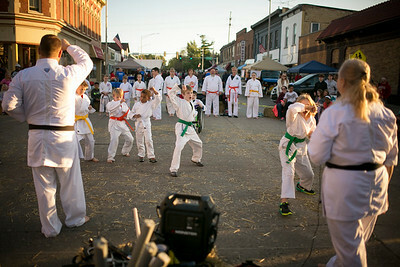 Daryl Quitalig - For Shaw Media Members of the Hidden Path Arts studio perform a demonstration during the third day of the four-day Marengo Settler's Day festivities in Marengo Saturday, Oct. 8, 2016. Other Saturday activities included a children’s pet parade, Cody’s Farm activities, carnival, and live music. Daryl Quitalig - For Shaw Media The Party Doctors perform a cover of The Kinks song "You Really Got Me" during the third day of the four-day Marengo Settler's Day festivities in Marengo Saturday, Oct. 8, 2016. Other Saturday activities included a children’s pet parade, Cody’s Farm activities, carnival, and live music. 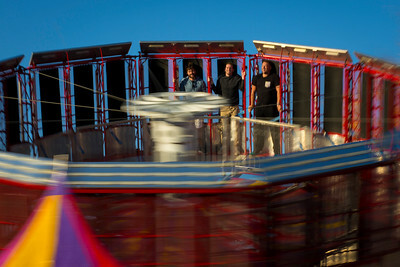 Daryl Quitalig - For Shaw Media Carnival-goers ride Zero Gravity during the third day of the four-day Marengo Settler's Day festivities in Marengo Saturday, Oct. 8, 2016. Other Saturday activities included a children’s pet parade, Cody’s Farm activities, carnival, and live music. 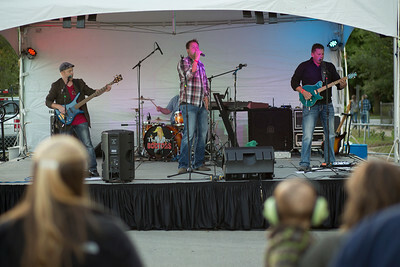 Daryl Quitalig - For Shaw Media The Praise Band performs "Jesus" on S. State Street during the third day of the four-day Marengo Settler's Day festivities in Marengo Saturday, Oct. 8, 2016. Other Saturday activities included a children’s pet parade, Cody’s Farm activities, carnival, and live music. 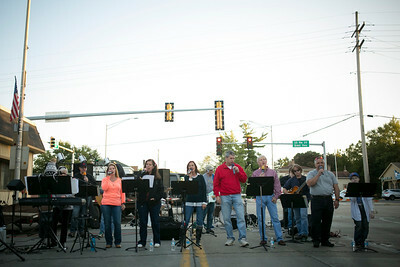 The Praise Band performs "Jesus" on S. State Street during the third day of the four-day Marengo Settler's Day festivities in Marengo Saturday, Oct. 8, 2016. Other Saturday activities included a children’s pet parade, Cody’s Farm activities, carnival, and live music.